The new Pistol GT™ Series is a modern take on a beloved classic. 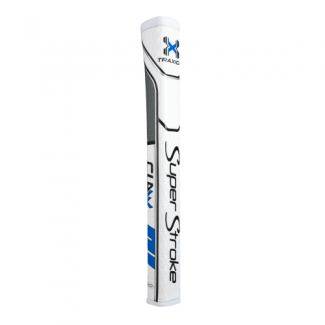 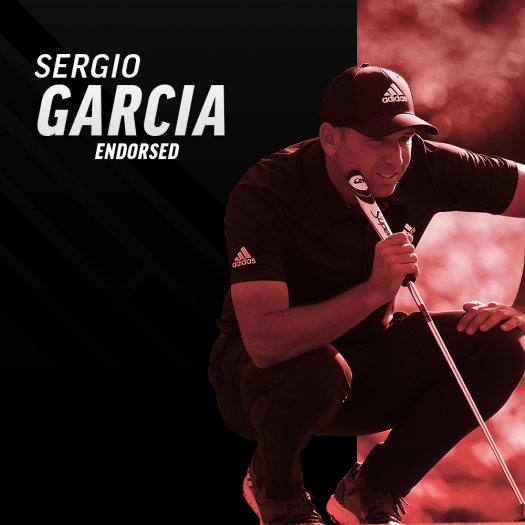 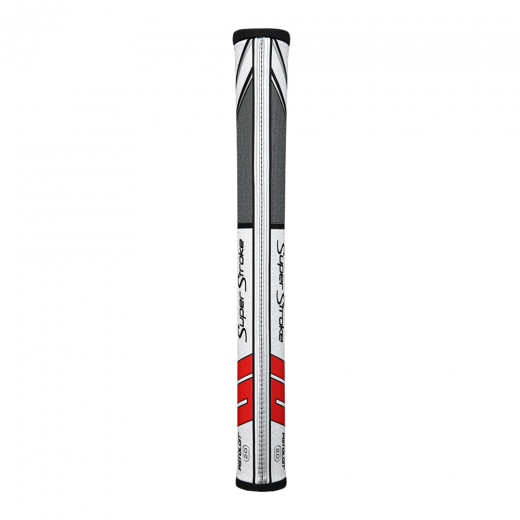 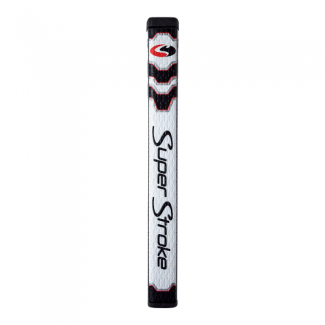 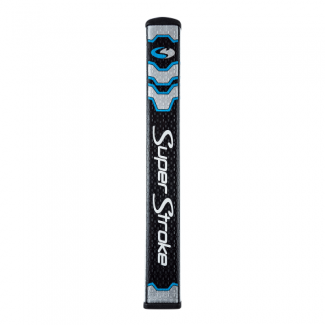 These putter grips merge a pistol-style top section that helps golfers lock in their upper hand position with “No Taper Technology” to help golfers maintain even grip pressure and boost the consistency of their stroke. 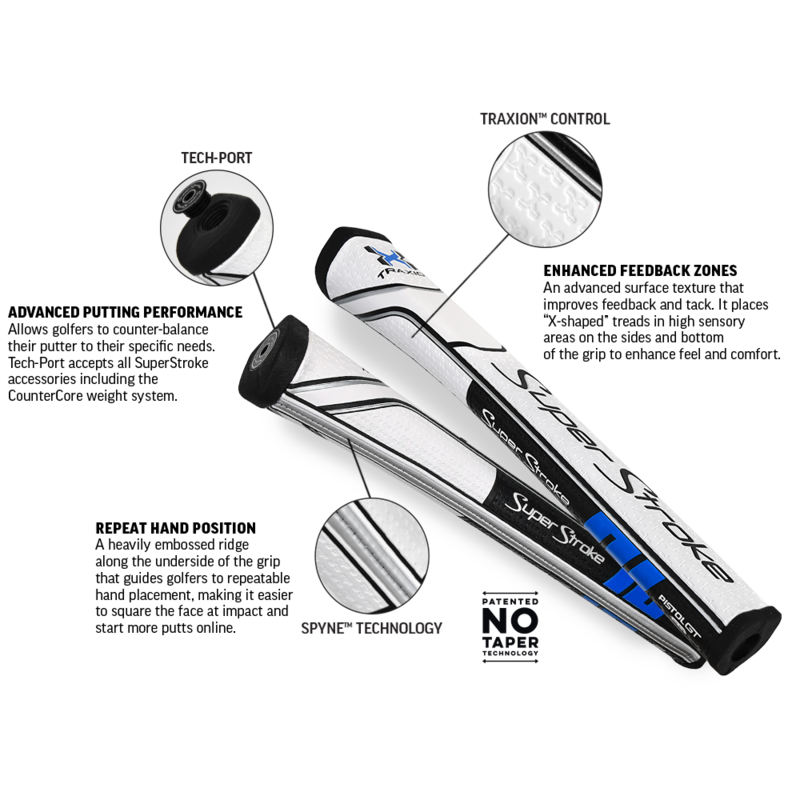 All three sizes now offer Traxion™ Control, Sypne Technology, and Tech-Port to enhance feel, alignment, and back-weighting options.